ROME — A leading Italian think tank is pressuring the country to enter Britain’s Tempest fighter program as soon as possible and then push for the project to merge with a rival Franco-German effort. 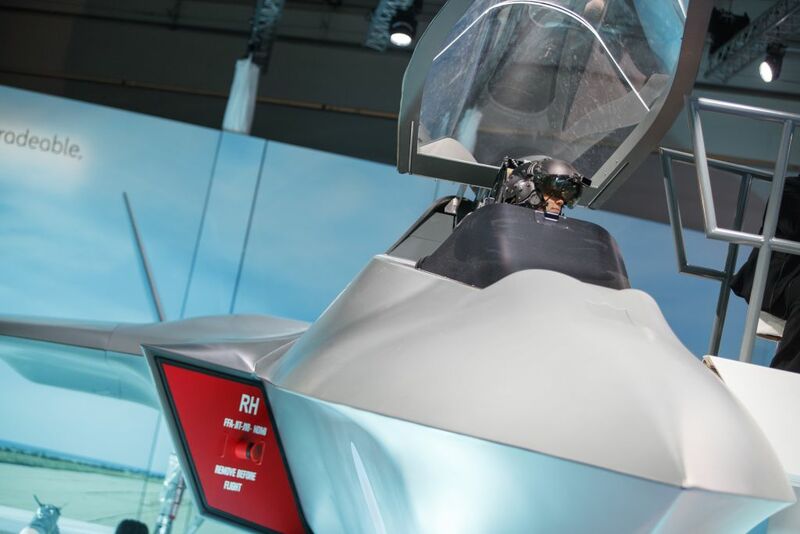 The proposal by the IAI think tank in Rome comes as the Italian government deliberates over what air power it will need in the 2030s, around the time when the Tempest could take to the skies. The British program was announced last year as France and Germany started work on their own Future Combat Air System, raising the prospect of European neighbors working, yet again, on rival aircraft, following parallel developments of the Eurofighter, Rafale and Gripen. The industrial team involved in the Tempest program already includes Italy’s Leonardo, thanks to its large-scale operation in the U.K., and an Italian junior defense minister has called for Rome to become a national partner on the fighter project, although wariness over defense spending in Rome means there’s been no official commitment. Other potential national partners include Sweden and Holland, with 2035 as a possible initial operating capability goal. “Italy will soon have to choose one of these two sides, and a timely decision is critical in order to enable Rome to influence the crucial, initial steps of a FCAS cooperative project,” IAI warned. The paper listed reasons why Italy would find a solid partner in the U.K., citing the fact that both have flown the Tornado and Eurofighter and are now introducing the F-35. Using a fifth-generation fighter gives “both countries a basis from which to look to the 6th-generation in military and industrial terms,” the paper said. The authors said Italy could take a stronger role in Tempest than it would in the Franco-German project, placing Rome in a key position if the programs merged. “In contrast, if Rome were to accept an ancillary position in the Franco–German project, it would probably be the weaker partner, whose interests could be sacrificed to make room for a future marriage with London," the paper stated. The risk that the U.K. is about to leave the European Union without a trade deal, as Brexit negotiations falter, was a risk that did not outweigh the advantages, the paper argued. Paris would only consider a request to enter FCAS “after the military requirements had been set up and the industrial architecture designed, with little room to accommodate Italian requests. In other words, for Italy, achieving a satisfactory compromise with Paris and joining the Franco–German project is not impossible, but it is much more difficult and unlikely in comparison with a deal with the UK,” the paper said. Another Italian think tank, the Centre for International Studies, also put out a paper this week on the two fighter programs, and also urged Italy to join Tempest. It predicted a difficult relationship between Paris and Berlin, given France’s need to carry nuclear weapons on the future fighter and to build a carrier version — two ambitions Germany does not share. "Above all, it is difficult not to see in the renewed French-German partnership the willingness to cut back the role of Rome within Europe’s big defense initiatives,” the paper said. The IAI paper went on to promote the eventual merging of the two programs. “First, we should enter Tempest as fast as possible,” IAI analyst Michele Nones said. “The idea of merging it with FCAS is now delayed until the end of the technology development phase at the end of the next decade. Merging the two programs was also backed this week by Alessandro Profumo, the CEO of Leonardo. “Tempest will be open to the participation of other countries,” he told Italian daily Il Sole 24 Ore. “I hope the French and Germans will join in."